Hypo unawareness is used to describe a situation where people with diabetes, usually type 1 diabetes, are frequently unable to notice when they have low blood glucose, hypoglycemia. Loss of hypo awareness can be troubling, and at times dangerous, so taking steps to regain awareness of your hypo warning signs is strongly recommended. However, the symptoms tend to vary in different people and can also vary in the same persons at different times. Hypo unawareness can be common in people who have had diabetes, particularly type 1 diabetes, for a number of years. Having a period of frequent hypoglycemia and hypo unawareness can also be caused by a recent hypo in the last day or two. Hypos can also be harder to spot when they follow a rapid drop in blood glucose levels. Some medications including beta blockers can also lead to hypo unawareness. Reduced hypo awareness can potentially be dangerous. If you suffer hypoglycemia you should be careful to test before putting either yourself or others in any potential danger. 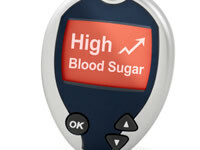 Examples when hypoglycemia and unawareness of it could be particularly dangerous include driving, operating dangerous machinery at work and even day-to-day tasks such as cooking or even crossing the road. If you are suffering from impaired hypo unawareness, you may be advised to increase your window of blood glucose control for a period of time to get your numbers higher and prevent hypos from occurring so often. If you have frequent hypos you may need to test your blood glucose more often, to help get better control as well as to catch hypos earlier. Try to record which events lead to hypos so you can spot trends and prevent them in the future. Hypo awareness can also be improved by consciously making your mind more aware of hypoglycemia. If you have trouble thinking, speaking or performing a task, don’t allow yourself to dismiss it for other reasons, such as "I'm tired, I'm not having a good day" etc. Instead, allow hypoglycemia to be a possible cause; see if any other hypo symptoms are present and where possible do a blood test to make sure. As people with hypo unawareness are more susceptible to severe hypoglycemia, glucose sweets come highly recommended as they are more effective than normal sweets for treating hypos. Consider doing more blood tests. This will help you to get a better understanding of why you may be experiencing low blood glucose. You may need to review or alter your treatment regime and your healthcare team should be able to help you with this. In some cases people with hypo unawareness may be prone to acting out of character when their blood glucose levels run very low. This behaviour can include violence, irritability, silliness, inappropriate laughing, becoming highly emotional or very stressed. People with diabetes who have lost their hypo awareness may insist they're fine even when acting very unusually. Is pork insulin better than human insulin for hypo awareness? Some people have found a change onto pork insulin to be of benefit when suffering from frequent hypo unawareness. Driving with impaired hypo awareness can and does kill people. Don’t take the risk. If you have difficulty recognising your hypos whilst driving you should not drive and should inform the DVLA.